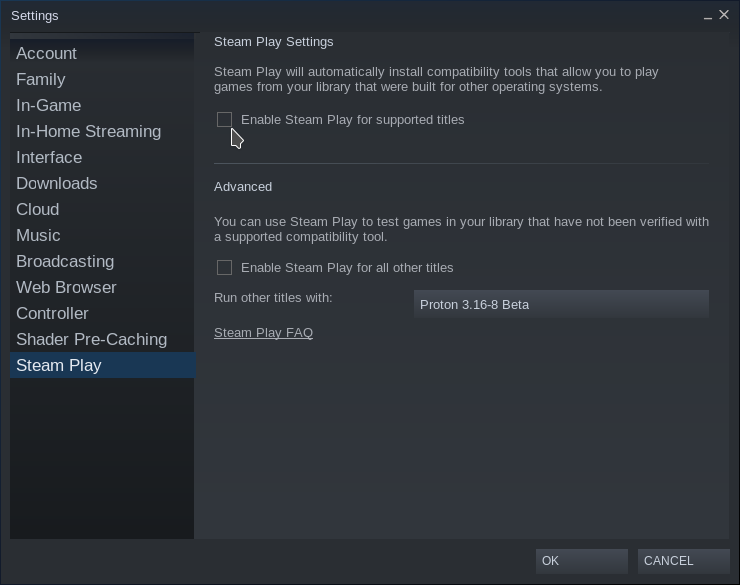 Some players reported that the game was still running on Proton despite the fact that the version is supposed to be native: if this happens to you, please disable the Steam Play option in the Steam client settings and perform a clean installation of the game. I did speak to Valve previously on it and it seems this will be an issue for any game on the Steam Play whitelist, they will need you to disable Steam Play to download the native version which is not ideal (here's the checkbox you need). Hopefully Valve will add in an option to make sure you can download a native build, if one is available, just like how you can force a specific Steam Play/Proton version on games so we can have the best of all worlds. As far as I know this is the first time it's happened, so teething issues are to be expected. If they remove it from the whitelist, it should fix it but I still think having the option would be nice, just in case this happens in future and it takes them a while to update the whitelist. Update 24/03: Valve have now removed it from the whitelist, so disabling Steam Play is not needed now. 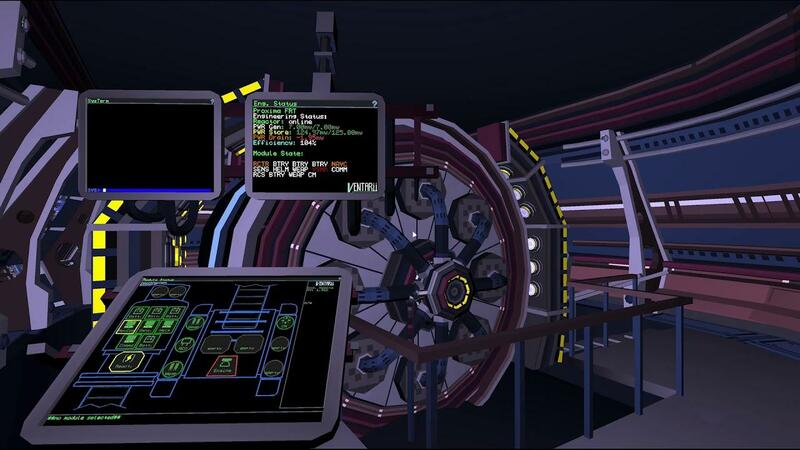 Objects in Space did have a bit of a rough Linux launch but it seems most of the issues are now fixed. It does now run without any fixes needed, although the version from GOG I tested still had issue with text rendering (Steam version looked better) but not everyone has that issue, seems distribution specific. You can find it on GOG, Humble Store and Steam. *edit* How nice a game from the white list gets native support (on Steam)...! *edit* How nice a game from the white list gets natice support (on Steam)...! That would solve it yes, but we have no idea how long it will take Valve to update the whitelist, even if this time they do it within a day or two, next time if it happens we have to wait a week or longer? Disabling Steam Play is really not a good solution. "While the Linux version has been up on GOG for a little while, Steam was left a bit behind." That is unusual, to say the least! Players should by default be playing the version of the game that is officially supported by the developers. 1. Disable Steam Play and stop downloads (otherwise Steam will "update" all of your Proton games). 2. Install Objects in Space natively. 3. Set OiS to be updated only when you play. 4. Turn back on Steam Play. 5. Don't run OiS from the Steam client, but from it's local folder, via ./runois.sh. Steam will not try to install window's version of OiS this way. Plus it's nice to have lots of things on the Whitelist, so a solution that doesn't require taking them off would be good. From day 1 of proton, I have wished if they will just add a dang indicator on the library page like the do for controller enabled games. Shouldn't be that hard. Add an option to the steam play override option to so you can have more control over this. Note: Valve just emailed, they removed it from the whitelist.